Discussion in 'Tabletop Games, Wargaming and Scale Modelling.' started by Tunney, Feb 27, 2014. I'm holding off on a few to see what happens at the end of the month. Could get expensive fast! Map book backed for our rpg sessions. Looks like great quality. Then I’m considering Folklore the Affliction when that drops, Gloom of Thrones & I think Root stuffs is incoming soon-ish. 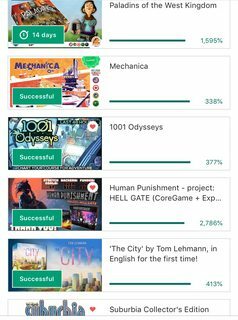 Yeah there seems to be quite a lot of choice at the moment, I just backed Mechanica and the Gloom of Kilforth expansion. I'm tempted by Paladins of the West Kingdom, I've not played they're other games. And I might go for Chocolate factory, I quite enjoyed the Dice Hospital game they did previously. 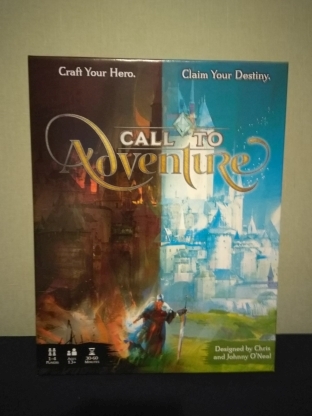 My copy of Call to Adventure just turned up. I'm a bit bummed they decided to ship the expansion later, that really sold this to me as it was based on a great book series Name of the Wind, by Patrick Rothfuss. That is a truly amazing spoonerism. I can't wait to use it at my games group. VOTK is a great game, but its merit for me was always the small box. Tarot-sized cards for a deck builder feels like a mistake too. Vital Lacerda's On Mars launches on Thursday. I have reports already that it's a good crunchy game. Also due this week or next is Cthulhu Wars: The Final Onslaught. If you haven't already taken the plunge, and if you have far too much money and don't mind receiving your own bodyweight in miniatures, you should keep an eye open.